We have proudly served the Kansas City area since 1993. 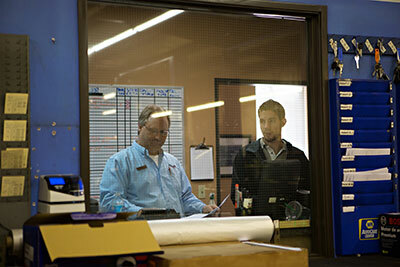 Our Kansas City shop is our headquarters and also where you can meet our owners, Nick and Carla Sallas. 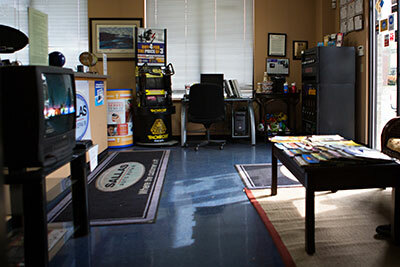 It doesn’t take much to see that Service Advisor Barry Degges loves his job at Sallas Auto Repair. A Christian atmosphere and an honest and trustworthy team has made Barry one of our most dedicated staff members. Barry has worked in the auto industry for 30 years after getting his feet wet as a gas jockey at a Westport station in 1982. Barry worked under the hood as an ASE Certified Master Technician for 20 years before transitioning to a service manager five years ago. He stays late. He comes in early. He’ll even help a customer on the weekends. If there’s a need, we can count on Barry. When Barry’s not at the shop, he loves hanging out with his family, watching his kids play sports and riding jet skis and 4-wheelers at the Lake of Ozarks. Zach Scheller is our good ‘ol country boy around the Sallas Auto Repair shop. Born in St. Louis, Zach came to Kansas City several years ago and joined the Sallas team in 2009. Trained in auto mechanics in high school and college, Zach has always had an interest in cars. Each customer who has the opportunity to work with Zach can count on his appreciation for thoroughness and attention to detail. He’s a positive guy who brings a good attitude, timely joke and a cowboy hat to work each day. Robert Morse, or should we say “Supertech”, is one of our ASE Master Certified Technicians at Sallas Auto Repair. Robert is an integral member of the Sallas Auto Repair team. His nickname around the shop is fitting, as he is one of the most knowledgeable, speedy, efficient and experienced technicians in the world. As a 16-year-old, Robert worked at a car lot in Santa Cruz, CA and then for Ford Motor Company and other auto repair shops. In his spare time, Robert trades working on cars for working on computers and hangs out with his family. 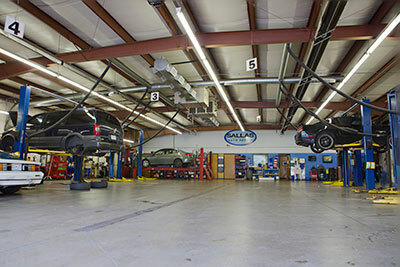 His guarantee to Sallas customers is that when he works on their vehicle, it leaves the shop in top shape. Austin Wolf is Sallas Auto’s designated driver … or should we say professional porter. Austin allows us to offer the best customer service of any Kansas City auto repair shop by complementary rides to/from work and courtesy vehicle pickups and drop-offs. Jill West is Sallas with a smile. It could be because she’s a grandma of a precious four-year-old. Or that she loves working on her lawn. Or, it could be because she has a ton of fun working at Sallas Auto Repair. With over 20 years of experience in the administrative business, Jill keeps all of our “t’s” crossed and “i’s” dotted. She’s a utility player, as she can be found answering the phone, processing paperwork or even giving customers a ride. Jill carries our commitment to really care for each customer. She’s always pleasant, smiling and ready to listen to whatever they have to say.